Lord, we pray about the current conflict in the Apurimac mining area of the Peruvian highlands. 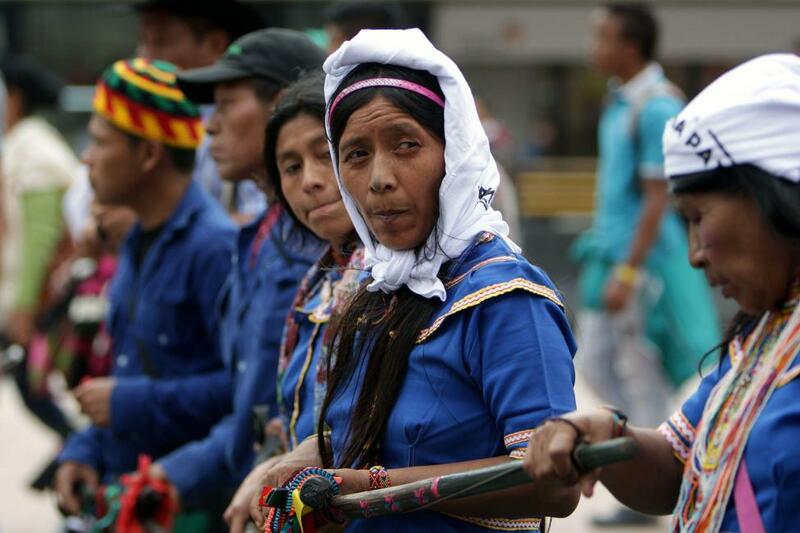 With indigenous farmers blocking a road used by a copper mine for 54 days now, tensions are high. The arrest of community leaders, charges of extortion, and concerns about pollution have just added fuel to the fire of confrontation. Lord, we pray for your peace to descend upon the region. We pray for Peruvian governmental leaders to accept the offer of clergy members to help mediate between the government and the indigenous population. We pray that resolution can be found that will protect the farmers’ crops and allow the mine to continue operating (unless there is a good reason it should not). We are thankful for the 2007 United Nations declaration that protects the rights of indigenous peoples to "enjoy and practice their cultures," as well as "develop and strengthen their economies" and social and political institutions. We pray for clarity in determining how that applies to the current conflict. And, Heavenly Father, we pray for continual, long-term progress in mending relations between indigenous and other groups within the nation of Peru. In Jesus’ name we pray, amen.